An interview with Phillip Mills, former ballet dancer turned skating choreographer to elite athletes in the sport. 39 minutes, 54 seconds. On developing as a choreographer: I always try to find something I can do better than I did the year before. For example, if one year I look back at my programs and I’m not real happy with the footwork, then that’s my focus next year. If I’m not real happy with the layout or the patterns, I try to do that better the next year. So I try to improve the quality of what I do, so I keep gaining some momentum. 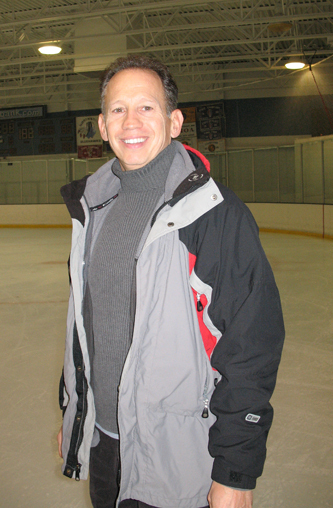 On learning to skate at age 35 after a career as a professional ballet dancer: After the  Olympics, Joe Druar [ice dancer] gave me his skates. And I thought, what am I going to do with these smelly old things? Bronze them? Put them on my mantelpiece? So I threw them in the closet. But then when I started interviewing [for choreography jobs] all over the country, I remember the interview at the Broadmoor with Carlo, he said, “I hope if you teach tennis, you have a racket”. And I thought, “Hmm. Well, maybe if I wore skates, the choreography would be faster”. 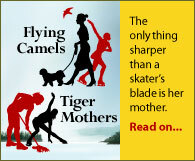 I didn’t even know then what a rocker or a counter were, but I did spend a lot of time [watching] figure lessons, patch lessons, to learn how the blade moves through the ice, how it turns and checks, the bend of the knee and the ankle. So I took these skates and went into the rink very early in the morning for a long time, and I took some nasty falls. The worst thing was that for back crossovers my legs would not turn in. My legs were so turned out from being a ballet dancer that every time I’d step in my leg would be turned out. I couldn’t get that whole parallel thing. So finally one day I walked out to the ice, and all the ice dancers were there, and they just freaked out. They just couldn’t believe it, and that was the kind of the start of it. And I just threw myself right in there. On the creative process of choreographing a program: Because I choreograph all over the country, I don’t always [get to know the skater beforehand]. 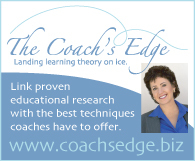 For all of my higher-level skaters, we do have a dialogue about the music, but I do steer them in a direction where I think they’re going to grow artistically, but not so far left of center as where they are in their performance quality and how their body is built. Because then they look bad. For some of the younger skaters, or a new coach, they’re better at picking the music for that season than I am because I don’t really know them yet. But what I do every time I go to a new student, the first thing I ask them is what their favorite color is. And I don’t ask them that for a costume, because the color tells me an amazing amount about what kind of personality they have. I’m an organic choreographer, because of my ballet training. I choreograph from the inside out. So unless you’re doing a classic that’s been around for two or three hundred years, you go from a straight base coming from inside out. I go onto the lesson with a skater, sometimes they’re crabby, sometimes they’re excited, sometimes they’re introverted, sometimes they’re extroverted. And I try to pull on their energy. So I turn the music on, and I don’t know how this happens because I have no control over it, but my body just starts to move. I don’t know why or how, I don’t think about it, my body just does it. On overused music: I have choreographed 58 Sing Sing Sings. I keep track. On his reaction to changes to a program he has completed: This does happen a lot, and you do know that there’s going to be a little bit of, say, shifting the jumps around. And you hope they’re going to try to keep the choreographer involved to keep the integrity of the piece. But many times – the frustrating part is only when they have shifted so much of the program and changed so much, and then it’s a mess. And then they want you to come back and fix it. But – obviously you know that the kids are going to water down the choreography. That’s going to happen, that’s natural. But if it’s actually so bad, I tell them, you take my name off as choreographer. That is not my piece any more. I’d say that happens 10% of the time. And that’s usually the last time I will work with them. I would say Michelle Kwan is the easiest because of her talent and her ability to be an amazing student. She is the most quintessential amazing, focused, intelligent student that I have ever worked with. Everything you do, she tries, and even if she doesn’t like it or feel comfortable, she tries anyway. And when I choreograph, I want the movement to look like them. I don’t want the movement to look like me. My biggest fear is if somebody says, “Oh, that’s a Phillip Mills program”. That’s like the kiss of death! They’re all individuals, they all get 200% of me, and they all deserve to look like themselves, not like a pre-packaged target or something.